R.I.P. Harvey Pekar | grow. learn. connect. 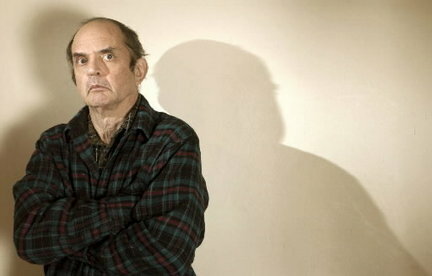 The creator of the beloved, American Splendor comic series, Harvey Pekar, passed away at age 70 on Monday July 12th, at his home in Cleveland, Ohio. As the article notes, these ultra-personal, “non-fiction” comics were instrumental in attracting many new readers to the comic genre and for that alone Mr. Pekar’s work was noteworthy and important. Being a rustbelt native myself, I’ve always felt a special affinity for Pekar’s heartfelt, honest and perceptive depictions and descriptions of life and clerical misadventures in the cold, decaying urban landscape of Cleveland. Pekar was extremely adept at articulating the complex mixture of pride and dismay embedded in the psyche of many Americans born in cities like Cleveland, Detroit, Pittsburgh and Buffalo, and I think it’s this specific skill that has made American Splendor stand out in the way that it does. He was also a respected, prolific jazz critic. I’ll never forget how excited I was one afternoon opening my Miles Davis in Europe CD only to then notice the words: “New Liner Notes by Harvey Pekar.” His words provided a perfect contextual compliment to the sounds of Miles and company while I lounged around my house enjoying the day. America mourns a true original. Thanks to my colleague Jacqueline Rice for sending me the Publisher’s Weekly article and suggesting this post.